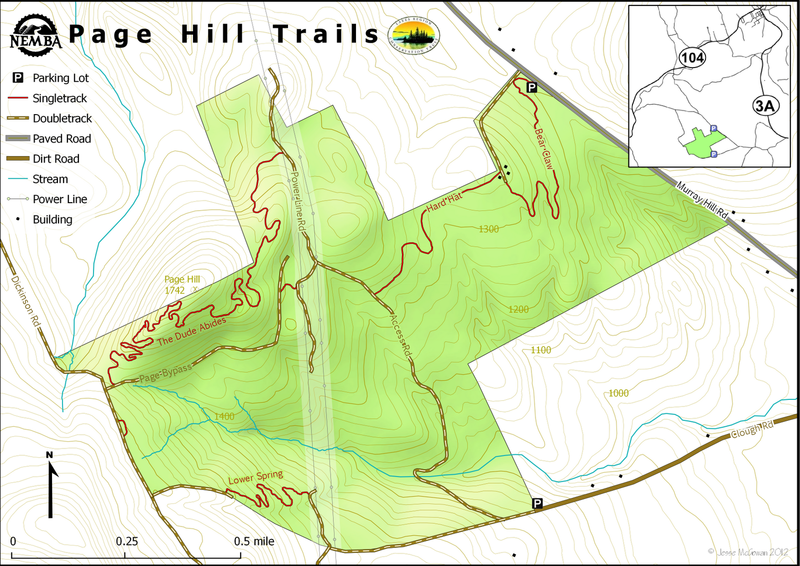 The Page Hill trail map has been updated to show the lower section of Spring, which was added on June 3rd. Spring trail will eventually extend all the way to the junction of The Dude Abides and Page Bypass. For now, it completes some nice loop options using the Dickinson and Clough doubletracks. For an adventure, loop through the Dude Abides. For a more tame ride, take the Page Bypass. Both loops work pretty well in either direction. The middle of the Dude Abides still has a few hike-a-bike sections near the top, but there is some really fun stuff on either end that makes it worth slogging through the middle. Also, check back often as we transform those hike-a-bike sections into fun rock work!